Make your motions promptly; be animated; sound enthusiastic. 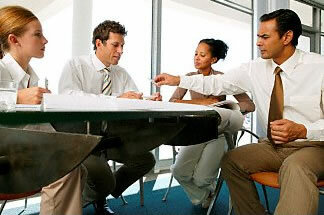 Have your motion written in advance; handing a written copy to the chair conveys momentum. A motion prepared in advance forces you to be precise. Arrange to have someone second your motion immediately–have the seconder sound like he’s joining a winner. Debate immediately to provide the rationale. Don’t let someone speak ahead of you to shoot your motion down (don’t let the opposition take the ball and run). Ask opponents questions during their discussion of the motion. Try to point out any unclear statements they may hive made. When opponents move to postpone indefinitely, speak against it forcefully and immediately. Compromise if the other side has solid points (it takes the wind out of their sails). If the opposition makes an amendment you can accept, support it . Al lowing them to amend your motion makes it hard for them to vote against something of which they are a part. If motions to delay (refer, postpone) are made, speak and vote against them, vigorously. When momentum seems to be going your way, attempt to resolve the matter immediately. If the momentum is going against you, delay action if possible (refer, postpone, recess, etc.) and reassemble the troops. If the vote is by voice, vote enthusiastically–encourage others to “jump on the bandwagon” by sounding excited. If the motion is defeated, move to reconsider if you can think of a new angle. Next. Strategies for Defeating a Motion. . .